Coldwell Banker Residential Real Estate, Island Estates is located on Florida’s Gulf Coast at Clearwater Beach where property values range from $500,000 to $Multi-millions. Clearwater Beach’s most respected name in real estate. The firm measures success with true professionalism. 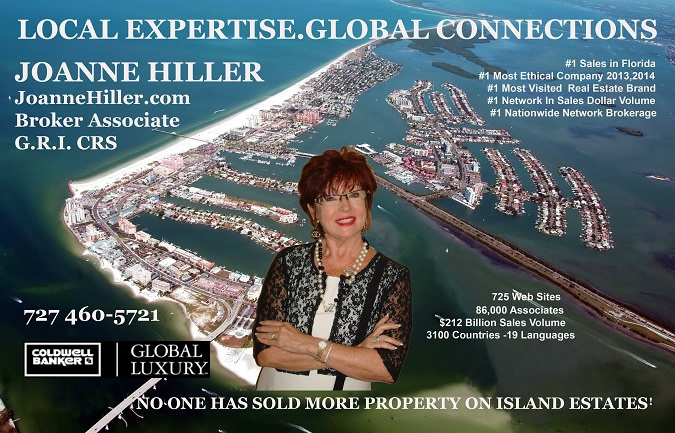 Joanne Hiller has established herself as an elite consultant specializing in fine homes and estates with a target market focusing on waterfront properties. I have solid name recognition in our area and my statistics show me as a consistent sales leader. My service doesn’t end with the closing. That is just the beginning of building relationships that last a lifetime. Over many years I have established a Concierge List to assist my clients in all capacities, from A to Z.
Joanne, consistently a top producer with over $600 million company sales, has a degree in Business, earned the GRI Designation (Graduate of Realtor’s Institute), CRS Certified Residential Specialist. 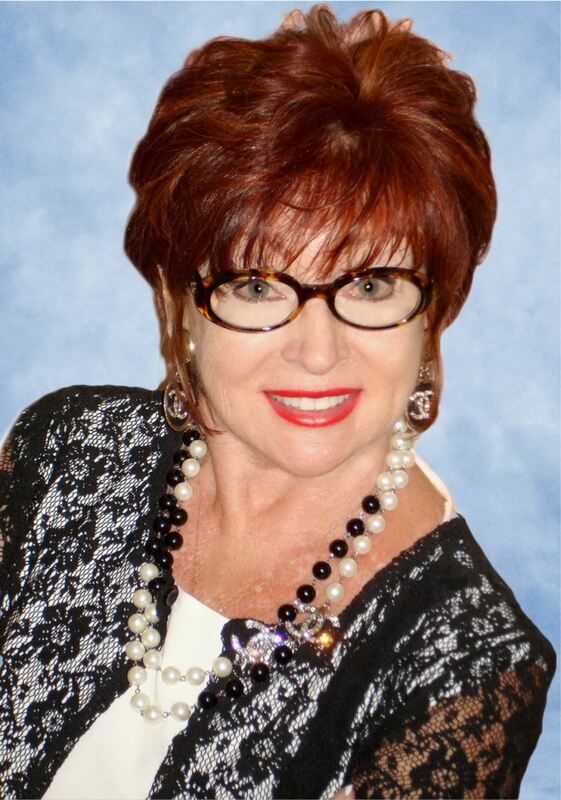 Joanne is a member of NAFE (National Association of Female Executives), Clearwater Beach Chamber of Commerce, Prestigious Member of the Chairman’s Group and Founder’s Circle. Joanne won the 2014 Realtor of the Year Award, and has located top executives to Clearwater Beach from around the world. She has sold many of the area’s fine estates, including the largest residential sale on the West Coast the famous “Century Oaks” which she has sold twice in 1986 and 1991. Joanne touts no magic formula to success, but states “there is no substitute for hard work and good communication, coupled with product knowledge, integrity and sincerity”.